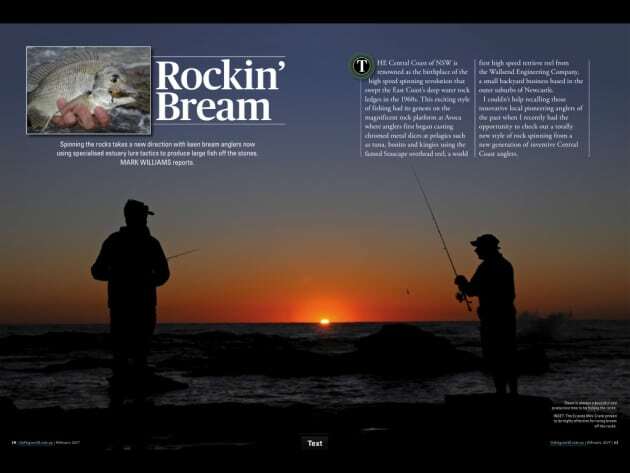 Spinning the rocks takes a new direction with keen bream anglers now using specialised estuary lure tactics to produce large fish off the stones. Mark Williams reports. While most of us are sleeping Paul Lennon is sneaking around the shadows, targeting big flatties on lures with impressive results. Find out how it's done. Targeting blue marlin from small boats is a heart-stopping and addictive form of fishing. David Green explains how to experience the action for yourself. 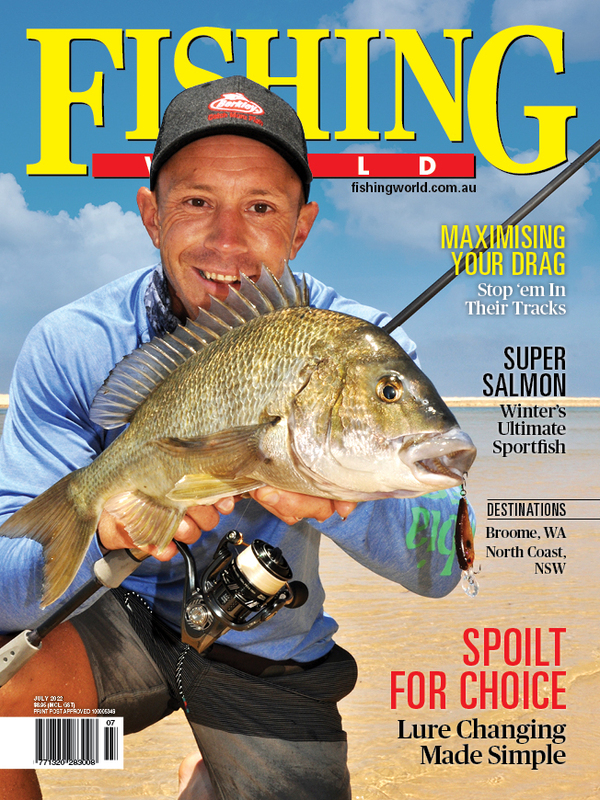 Murray cod are a regular feature on most fisho's bucket list and Copeton Dam is one place to make it happen. However, as Luke Galea explains, it's not as easy as it seems. 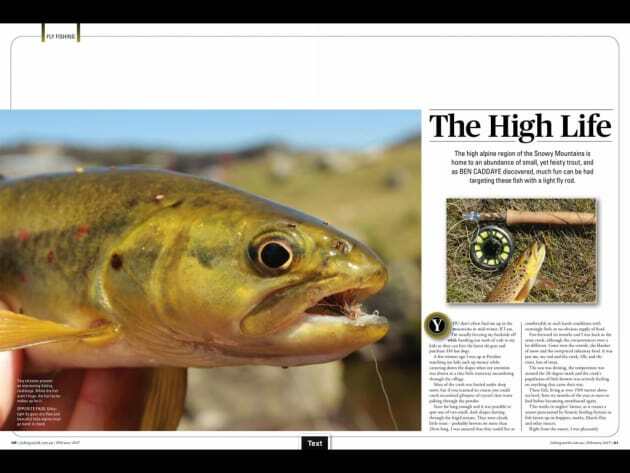 The high alpine region of the Snowy Mountains is home to an abundance of small, yet feisty trout, and as Ben Caddaye discovered, much fun can be had targeting these fish with a light fly rod. Cobia's unique behaviour and elusive habits means specifically targeting them can be a frustrating experience. Here Ben Knaggs has a few clues for the cobia tragic.